Do You Require Carpet Steam Cleaning? How Many Rooms Require Steam Cleaning? Do Your Halls/Landings Require Carpet Steam Cleaning? How Many Halls/Landings Do You Have? Do Your Stairs Require Carpet Steam Cleaning? We guarantee a re clean of any cleaning issues included in our cleans for 7 days after your service. All re cleans must be requested in writing and must include an exit report or photos. We have successfully passed the final inspection for cleaning with many agencies including those below. Absolutely, we guarantee that once we have commenced cleaning you do not need to worry about it anymore. If in the unlikely event that your property manager is not satisfied with the cleaning, we encourage them to contact us straight away. You do not have to go back to the property for cleaning. In the unlikely case that you are not happy with the cleaning please email us on guarantee@ultra-clean.com.au with photos and we will rectify any problem areas free of charge. How Can I Book My Clean? It is always better to do the bond clean when the property is empty. Furniture or other items should only be left if they belong to the property. Do I Need To Leave The Electricity On? We do need basic necessities such as electricity and warm water to get the job done. Is It Recommended To Leave The Property During The Bond Clean? It is recommended that you leave the cleaners at the property while they are doing their job, however you are welcome to stay if you prefer. We follow a simple booking approach and clean-up procedure which results in shiny looking spaces within the specified time. Take a look at the process. Call us to get an estimated quote and book your clean-up on your preferred date. We arrive on the desired date and complete the end of lease cleaning. We ensure that every corner of the house is cleaned to your agents satisfaction. Are you moving out of your property? Are you looking for Bond Cleaning in Brisbane? Did you spend hours scrubbing and cleaning the property but are still skeptical about the end results? Will you get your full bond money back or not? OUR BOND BACK GUARANTEE: We provide a 7 day warranty of your bond cleaning/end of lease cleaning service. Our guarantee entitles customers to a free re-clean of their property if it hasn’t been cleaned to the expectations of their landlord/agent. Full details are in our terms and conditions. PRICE MATCH: We offer a price match policy that will beat any genuine price for a like for like service. 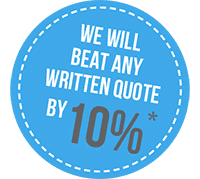 Plus we will also reduce our quote even further by an extra 10%. What a amazing offer! We will confirm the lower price by email or phone after you advise us of the company’s name or email us a copy of the quote. FREE OVEN, WINDOW AND BLIND CLEAN: We offer a free standard oven clean with every full bond clean we do. The standard price for an oven clean is normally $100. We also offer free accessible external window cleaning and free spot cleaning of blinds. Bond Cleaning Brisbane offers their customers security and trust which are vital components when it comes to having someone servicing your home or office. The stress of moving can be very overwhelming when life’s commitments are present. We at Ultra Clean will give you piece of mind and allow you to spend your precious time on more important things during the moving process. End Of Lease Cleaning Brisbane. Providing a complete bond cleaning service with no hidden costs. You just pay the amount in your quote unless the property is below a normal standard of cleanliness at the time of the clean. If that is the case then an adjustment of the quoted price will be required. The adjustment will always be discussed and signed off by you prior to the clean starting. Please note that this occurs very rarely. Bond Cleaning Brisbane. Taking pride in our work and offering a dedicated, first class service to our customers. Our typical bond clean offers a range of bond cleaning services including; dusting, mopping, vacuuming, soap scum removal and all internal walls spot cleaned. We are also offering extra services to our customers as well. These extra services can be found on our bond cleaning checklist and can be added to your quote. • Provide a bond back guarantee. The guarantee ensures all works completed are to the satisfaction of the leasing agent. This will leave your property in the best possible condition. Contact Ultra Clean to book your free no obligation quote today on 07 3505 3708 or 1300 800 362 or click on our instant quote form to receive a 30% discount on your clean. I was very happy with Ultra Clean they did a great job and I got my bond back in full, thank you!! The team did a fantastic job on my property i couldn't be any happier thoroughly recommend! I could not recommend Ultra Clean highly enough after they came and did a end of lease clean on my property. They were on time, they were friendly and did a fantastic job. I will definitely use them again and I got my bond back in full! Thank you so much for the wonderful job your team did on my bond clean on Monday. We had our final inspection yesterday and everything is all signed off and we are cleared to get our bond back. We will definitely be using your services again, thank you. Very happy & Would Highly Recommend! After our tenants left the house in an absolute mess, I called your company and you did not disappoint me! You got the job done quickly and your prices are fantastic. We are very happy & would highly recommend! Our service aims to clean the property to satisfy the Managing Agent under the governance of the legislation in each state of the cleanliness of the property. The goal is to have your bond refunded in full. Our Bond Guarantee covers the following areas and any extras you have selected. Please see our terms and conditions for more details. Our cleaners use the latest cleaning techniques and products however at times ‘normal wear and tear’ applies and it is not always possible for us to get the item back to looking like new. We will however take before and after photos of the items to prove to the Managing Agent that without specialist intervention that this is the best condition the item can be in. Clean fans, Air Conditioners (externally) and Air Conditioner Filters (the grill etc inside will not be touched). Clean light fittings (where they can be safely removed and accessible). Spot clean walls, light switches and power points. Clean skirting, architraves and doors. Clean drawers and cupboards including inside, doors and cupboard tops and shelving. Windows clean both sides (exclusions apply at heights and accessibility). Vacuum sliding door tracks and clean tracks. Spot clean standard blinds, cords and rails (there are some exclusions to blinds that may require a professional service or time added for the cleaners). Vacuum all the floors and carpets. Please note: Spot Marking is included in our standard clean. It would be described as 5 to 6 small areas that need to be cleaned and also takes no more than 10 minutes to clean. So things like some fingerprints, some crayon marks, and maybe some food splatter in the kitchen in one or two areas would be examples of a spot cleaning. If you require more than that please contact us for a quote on a full wall wash.
Clean all cupboards, doors and drawers. Clean stove top, elements, rings and knobs. Clean oven, grill, doors, trays, racks, glass and knobs. Clean and dry sink and polish tap ware. Range hood exhaust and filter if filter can be removed and cleaned. Clean and polish splash back area. Clean all cupboards and drawers. Clean toilet, behind ‘S’ bend, around cistern & under and around toilet seat. Clean bath, shower recess, remove built up soap residue on tiles and shower screens & soap holder. Clean sink and polish all tap ware and towel rails. Clean mirrors and windows, window tracks and floors. Clean behind dryer* remove lint (if applicable). Clean laundry tub, cabinets, shelves, drawers, tap ware. Clean behind washing machine* space. Clean windows, window tracks and floors. Sweep and mop floors, remove cob webs, clean lights and any balcony glass (if accessible). NOTE: Standard blinds are blinds with a surface that can be dusted or washed without requiring a specialist and or extra time. For instance, material blinds or curtains would require a Blind specialist. Venetian & Roller blinds will be quoted separately based on the number of blinds in the property if they require more than spot cleaning. *Cleaning behind/around these items or any heavy object (as per our Terms and Conditions) over 5Kg must be moved by the client (and put back if applicable) for our cleaners to gain access and clean. The following services are quoted separately and will appear on your quote as a separate item. NOTE: If they are not listed on your quote they are not included. This list is not definitive. Mould – Mould can be embedded into silicon, grout and other areas. These areas will require a specialist to restore back to a normal state. Mould on walls, ceilings etc are an extra and will be quoted separately. Damp Spots -Damp spots can happen anywhere in the house, often the ‘dry wall’ plaster can be affected. We will do our best to remove any mold and marks from Damp spots however we can’t completely make these spots disappear. These marks can return quickly due to excess moisture. Complete Wall Clean – We spot clean the walls for insect marks etc . however, a full wall clean requires more time and often does not have a different result. A full wall clean is only required if marks exist beyond normal ‘wear and tear’. Discolouration – We will do our best to clean all items with our commercial experience however discoloration happens with normal wear and tear of the property. Often grout, toilets and plastics can discolor (often into a yellow colour) over time and they can’t be returned to their original colour without specialist intervention. Tile and natural rock stains – We do our best to remove stains however due to the composition of the tiles or bench tops (some being extremely porous) it is not possible to remove stains without specialist intervention. Ceilings – We do not clean ceilings. Dangerous Areas – Any areas considered by our cleaner dangerous for them to operate, this includes broken or cracked power points/switches, rubbish, bio waste or any other hazard than can be deemed dangerous. Heights – Our cleaners do not clean at heights. Any cleaning that requires a ladder will not be performed. For instance, Windows in a unit complex on the second floor. Specialist Services – Areas that require special cleaning equipment, specialist chemicals or a trained technician. Examples are Pressure cleaners (grease on garage floor), painters (walls extremely bad) or plasterer (holes in walls). Additional items – Items such as fridges, furniture or any items not listed in the inclusions will not be cleaned unless otherwise agreed upon by both parties in writing. We do not clean or warrant, ‘nick knacks’, picture frames, vases, lamps, clocks, fruit bowls, linen and any item that may be decorative. As well as the exclusions, other exclusions exist that we can’t warrant under the Bond Back Guarantee. Outside Windows – We will clean the outside windows where we can (excluding windows at heights or difficult access) however due to weather circumstances we cannot warrant them. Outside Glass – We will clean outside glass where we can (excluding glass at heights or difficult access) however due to weather circumstances we cannot warrant this. We do not clean pool fencing glass. Outside areas- Outside areas are areas that cannot be fully protected (closed off) from weather elements. Examples are balconies and patios, or any area that cannot be completely closed off such as an outside area of a house with only three walls. As per our inclusions we will clean any outside area as required however due to weather circumstances we cannot warrant these areas. Garage – We do not warrant any cleaning inside or outside of the garage. Post Pest Control – We will not be responsible and do not warrant items post pest control that may require additional cleaning directly related to the Pest Control. Examples are dead insects or animals that have accumulated due to Pest control being applied to the property. Buildup of dead insects that were alive during the clean and have since expired. A build up of surface dust that has settled after the clean. Dirt or grime near a window or door that has been left open. New residents have moved or are moving in. Access to the property by a third-party contractor that has not been approved by us during the time that we cleaned and the agent inspected the property. 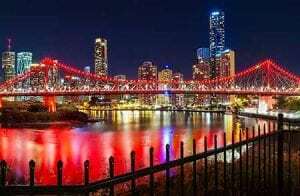 Brisbane, capital of Queensland, is a large city on the Brisbane River. Clustered in its South Bank cultural precinct are the Queensland Museum and Science Centre, with noted interactive exhibitions. Another South Bank cultural institution is Queensland Gallery of Modern Art, among Australia’s major contemporary art museums. Looming over the city is Mt. Coot-ta, site of Brisbane Botanic Gardens. Booming Brisbane is an energetic river town on the way up, with an edgy arts scene, pumping nightlife, and great coffee and restaurants. Lush parks and historic buildings complete the picture, all folded into the elbows of the meandering Brisbane River.